Resting between verdant mountain peaks and miles of golden sand beaches on West Maui’s sunny shoreline, Kaanapali reigns as one of the world’s favorite vacation spots and sets the standard for all of Hawaii’s resorts. 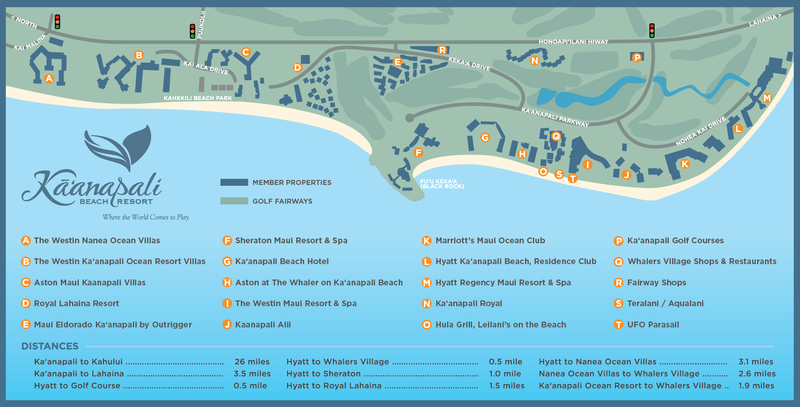 Home to five ocean front hotels, eight luxury villas and condominiums, a beachfront shopping complex, and 36 holes of championship golf greens, Kaanapali offers something for every taste and budget. We recognize the important role you play as an invaluable and essential extension of our sales team, and are happy to help in any way we can. Check back for agent incentives and special packages for your clients. Sign up to receive our E-Newsletter with resort updates: CLICK HERE. Feel free to ask us a question or share a comment, so we can know how to serve you even better: CLICK HERE.